As we have mentioned yesterday, that there is no auction house in FF14, so gamers have to use the Market Wards to buy and sell majority of their items. More Final Fantasy XIV guide at finalfantasyxivhelp.com. What you can do is look on the map for zoneline which is be marked when you are in a major city by a small yellow arrow the text Market Wards, and then head there. As soon as the players hit the zoneline, the text for Market Wards will come up. Players can choose whatever zone matches the item they want to sell, but it is not so crucial that you do it like that. When players are in a Market Ward, you can provide your menu and choose “Summon Your Retainer”. Then players are able to interact with your retainer. You then should give them the items you want to sell. You still could give them the items that you want to clear out of your stock for purposes of storage. As soon as the item(s) are in your retainers care, you can interact with your Retainer again and manage the contents of your retainer’s bazaar”. You can then list items for sale, and your retainer will stay in that market ward until you summon him elsewhere, keeping your items listed for sale. Once you list your items for sale, they will appear in the “Search” for all characters players to see. Note that each market ward is separate, and the market in Ul’dah is totally different from that in Gridania, which is completely different from the one in Limsa Lominsa. As the best result, set up your retainer in Ul’dah, as that is the busiest market for the customers. 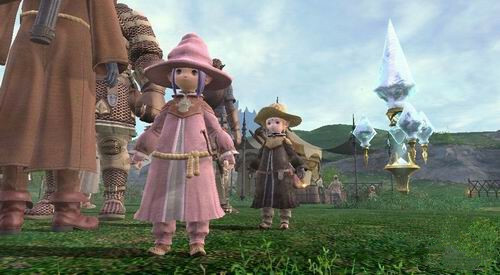 Nevertheless, when players are having the low-level gear to sell, you may charge a higher price at Gridania or Limsa Lomisna. Always top-level gear in Ul’dah even though you need it to sell!